We just completed a repair of a Rimage Professional Series 5300n disc publisher and Everest 3 thermal printer for a local customer. The unit was dropped off yesterday morning and we completed the service today. Our turnaround times are fast, but can vary based on demand. These 5300n machines are 5 to 8 years old now, but still very solid equipment for making CDs and DVDs. 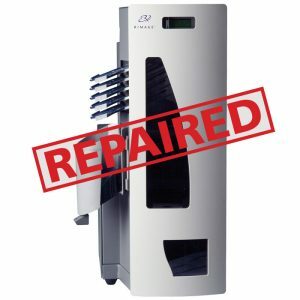 We turned this repair in just 36 hours and the customer is picking up their Rimage duplicator today. Call us @ (952) 944-0083 x13 if you need help with your Rimage 5100n or 5300n. We have tons of spare parts. If you plan on shipping a Rimage duplicator or printer into Techware for repair please use the original Rimage shipping boxes and inner packing foam. Keep in mind Rimage moved to California and that Rimage no longer supports the 5300n or Everest III printers. We do, and we are far easier and more enjoyable to work with.